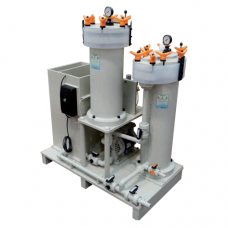 Metal Filtering Recovery SystemFiltering systems for recovering precious metals - MFR series - are used in the jewellery industry to recover small parts ofprecious metals, through filters that can have a filtering degree as small as 1 absolute micron.ADVANTAGES• Quick payback time• Recovery of up .. 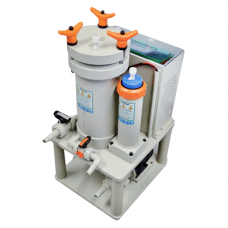 Under Sink Filtering System PlantThese filtering system are used under the sinks in the jewellery industry, to recover small parts of precious metals through filters that can have a filtering degree as small as 1 absolute micron.ADVANTAGES • Quick payback time &nbs.. 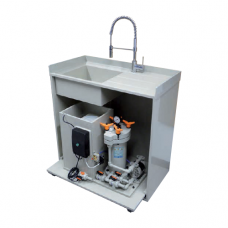 Under Sink Metal Recovery System PlantREM series precious metal recovery systems are recommended in di­erent production sectors, including: Chemical - Galvanizing - Photography - Printed circuit boards-metallic surface treatments. Recovery of precious metals from spent solutions, left over after ..